Light finishes and clean, modern styling make this bath fixture a great fit for any bath. It is mountable with the glass opening in either direction. The curves of the lighting fixtures in the Raiden collection emulate the curvature of the top bar of a Japanese torii, a gate formation that is prevalent throughout Japanese architecture. The Pearl Mist glass shades have a soft iridescence and are lightly speckled with color. Contemporary and clean, the brushed nickel finish is well suited for this modern collection. From Minka Lavery. 32 1/2" wide x 9 1/2" high. Extends 7 1/4" from the wall. Backplate is 7 1/2" wide x 4 1/4" high. Weighs 9.26 lbs. Raiden four-light bath light from Minka Lavery. Brushed nickel finish. Pearl mist glass shade. How far are shades from you the wall? BEST ANSWER: Per the manufacturer, from the wall to the shade approximately measures 1.75 inches. Delivery was quick and prompt. The item was in a perfect, unopened box. Great shipping! Sturdy and good quality bathbar. Can be used with shades facing upwards or downwards so that you can set the mood for your room. Relatively easy to install although due to its weight - you need a second set of hands to help steady the product while you install. "This Lighting Will Add Elegance"
This lighting is installed in my hallway bath. It has added elegance to the bathroom without the high-end pricing. I liked it so much, I bought the Raiiju Collection made by the same Manufacturer. 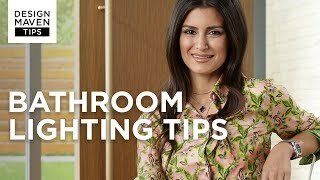 I used this in my sons bathroom, installation was easy and it works great. The light fixture is beautiful. 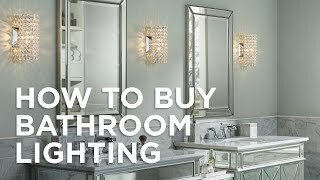 I bought the 3 light for my guest bath and loved it so much that I bought the 4 light for my master remodel. We receive a lot of compliments on this fixture. Nice contemporary fixture. I love the color of the shades and it gives off a lot of light. Easy to install for a beginner. This was a beautiful fixture. I ended up not being able to use it because the room "decor" changed, but I would have kept it and been VERY happy with it! Lamp was delivered promptly and in good condition.